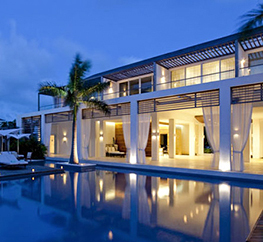 The Turks and Caicos Islands are one of the most sought after Caribbean destinations. The islands encompass all the characteristics of the perfect Caribbean destination, from immaculate turquoise waters caressing pristine white sand beaches, a colourful vibrant culture with a number of captivating activities yearlong, meticulous Turks and Caicos restaurants serving up decadent international and local cuisine, to Turks and Caicos luxury resorts, which are among the top rated with regards to luxury, attentive service and world class amenities. We understand that when it comes to a great vacation, selecting the right accommodations makes all the difference. We know how time consuming it can be to sort through websites and reviews. This is precisely why we have selected some of the finest luxury resorts. 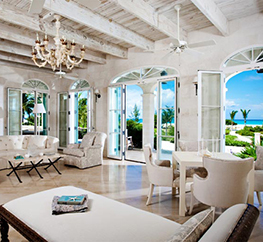 Turks and Caicos luxury villas are some of the most exquisite in the Caribbean. These exclusive residences provide guests with privacy and all the conveniences and amenities that your family will need to enjoy the comforts of home while on vacation. Celebrated as one of the region’s most luxury destinations, Turks and Caicos Islands prides itself on being one of the few tropical destinations that embodies a combination of stylish sophisticated elegance with old world charm. The name of the islands is derived from the indigenous Turks Head Cactus. 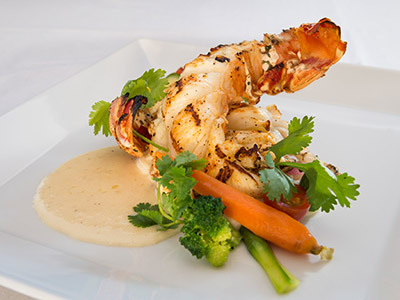 What better way to wind down than with a sumptuous dinner prepared at any one of the fabulous Turks and Caicos restaurants. 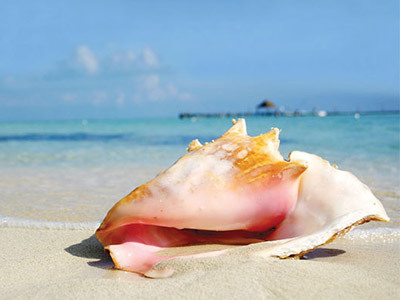 The islands are a melting pot of a variety of cuisines from local seafood dishes featuring delicious conch or lobster, to Asian cuisine, American, Italian, Caribbean and fusion. The Turks and Caicos Islands are perfect for those looking for a tropical getaway where you can discover some of the best Caribbean diving and true underwater beauty. The islands are world renowned as excellent diving islands with unspoiled underwater vistas and enchanting flora and fauna.